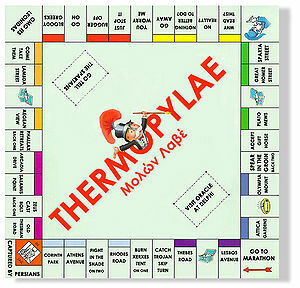 Thermopylae was the top selling board game of the 5th Century B.C. Players compete to acquire wealth through stylized politico-economic activity involving the buying, rental, and trading of real estate using fake drachma and bartering. Players must also gather groups of Perioikoi and Helots to work your land and invade the land of your neighbours as they take turns moving around the board according to the roll of the dice. For those without comedic tastes, the "questionable parody" of this website called Wikipedia have an article about Thermopylae. 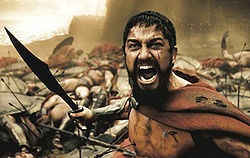 Another myth was that the battle did not take part in Thermopylae, but was actually in Xerxes little sandpit, where they were all children and Xerxes decided to invade the Greek sandland with his army of toy trucks. He was met by an army of three hundred spadeans. 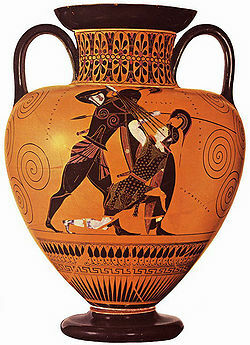 Then another army of child ouchilles came in and beat up little Xerxes and Leonidas. This is of course a lie..... I mean, that would make the game Sandpitopoly? This page was last edited on 22 August 2012, at 09:01.